Sending personalized gifts is often the difference between a nice gift and a great gift. Photo personalized gifts show that you were truly thinking about your recipient when you were trying to decided what to buy. I remember one year pouring over photos (actual photos before they became digital) to pick out just the perfect ones to make my mother a calendar. It was one of my favorite gifts I had given here. 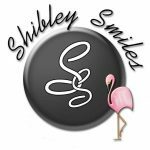 I personalized each month with photos from my own childhood and her grandchildren. With the holidays over and no more gifts to purchase when I was asked if I would like to review York Photo I thought it was the perfect opportunity to pick out a few items for myself. 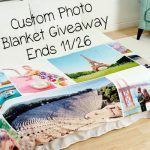 While sending photo personalized gifts is always a great option, receiving them or creating them for yourself is just as awesome. 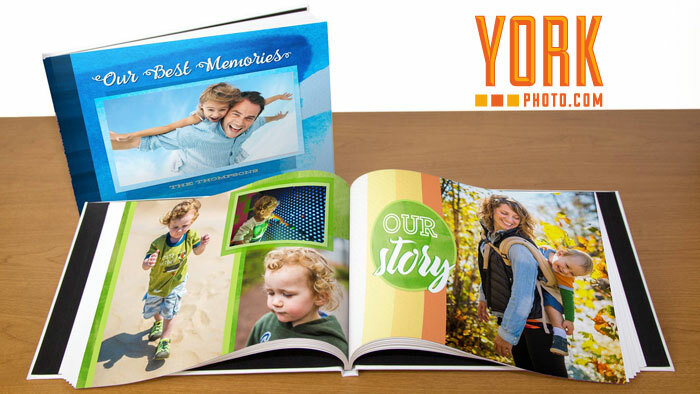 York Photo has many different photo personalized gift options from calendars and memory books to wall decor and stationary. I thought about getting a calendar for work but having done that before I decided I wanted something a little different. I have a favorite photo of my family and for one of my personalized gifts I choose a Photo Panel with Easel. What I love about this photo gift is that it is not a traditional picture frame. There is no frame or border, and it is light yet a good quality gift. This brilliant 5 inch x 7 inch photo panel is a contemporary way to display your favorite photos. The easel-backed panel has a glass-like, glossy scratch resistant finish and black 5/8 inch edging and backing. 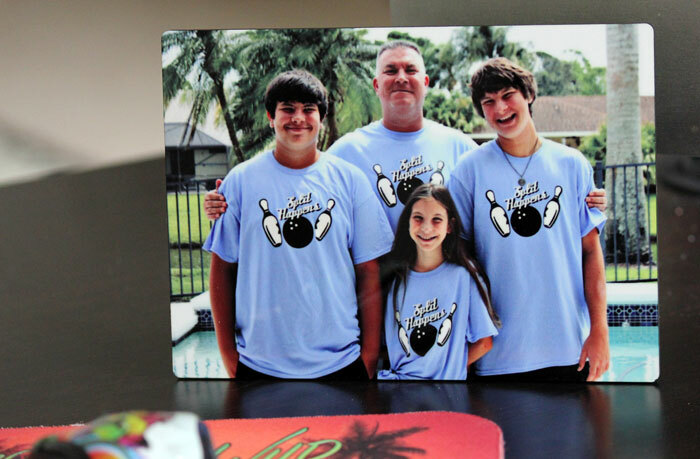 Your photo is printed directly to the panel and it’s ready for display without any framing required, $14.99. In addition to the photo panel I also decided to replace my mouse pad at work. I lover mouse pads as personalized gifts, it is practical and something most people use daily but also makes you smile each time you see it. This is one of my favorite photos of Honey and I love that each day when I’m at work I get to look down and see here. The mouse pad is a little thinner than others I have purchased but it does it’s job and is beautiful. 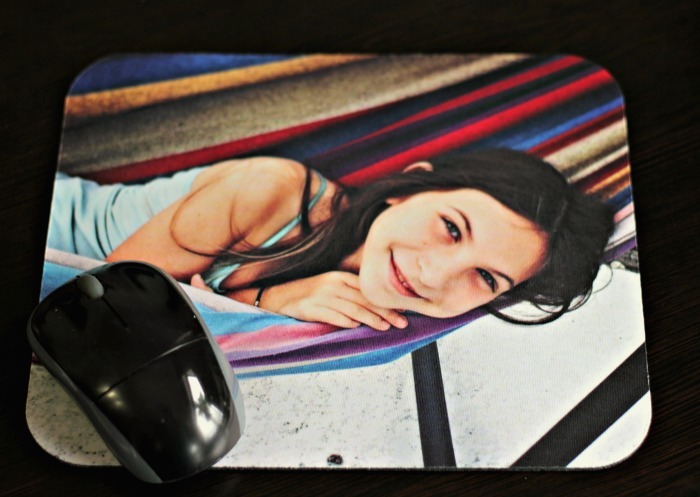 Add style and color to your work space with this ultra thin personalized mouse pad that shows off your favorite photo. Create your photo mouse pad today, $9.99. It took me no time at all to place my order for both of these items at York Photo. What took the longest was trying to decided among the many different products which ones I wanted to order. Both the photo panel and mouse came in at just under $30 which is a great price for these gifts that will make me smile every day! I love personalized gifts for my mom, dad, sister, and grandparents. 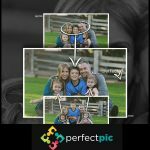 I think I will check out York Photo for this upcoming Mothers Day and Fathers Day! Thanks for sharing Colleen! This is so cute and it would make a great gift for mother’s day. I love the mouse pad.